Blackpool Tram Blog: Car accident at Cavendish Road causes major disruption. Car accident at Cavendish Road causes major disruption. 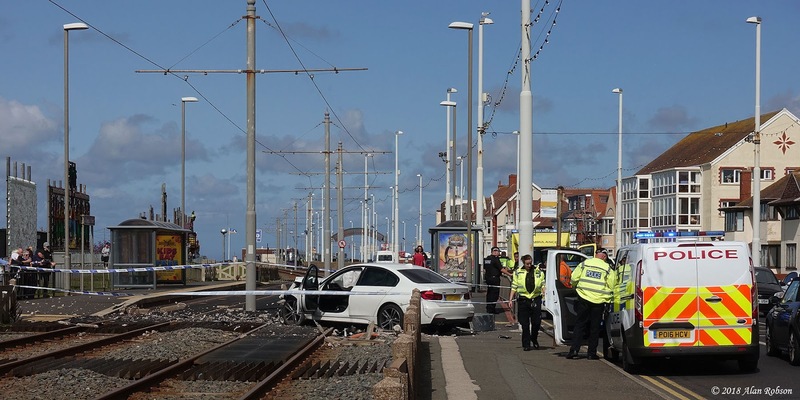 There was major disruption to the Flexity tram service in Blackpool this afternoon. A BMW saloon car swerved off the Promenade at the Cavendish Road tram stop, demolished a length of the concrete fencing, scattering broken concrete across both tracks, and came to rest on the southbound line. 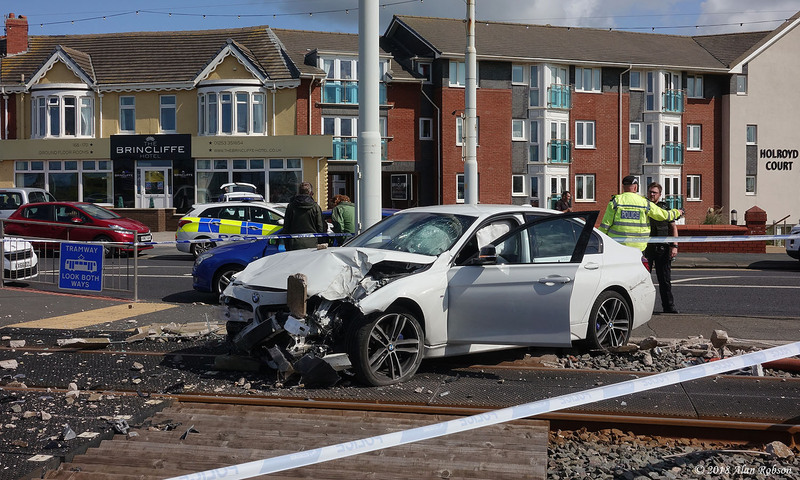 According to eye witness accounts, the BMW had been seen speeding and overtaking other traffic prior to the incident, near Cavendish Road it had to make a sudden swerve to the left to avoid another car. Due to the car and debris being spread across both tram tracks, the Flexity service had to be split into two halves, with trams to the north of the accident turning at Bispham and cars to the south reversing at Cabin. After a while it was decided to link the two halves of the tram service with replacement buses. 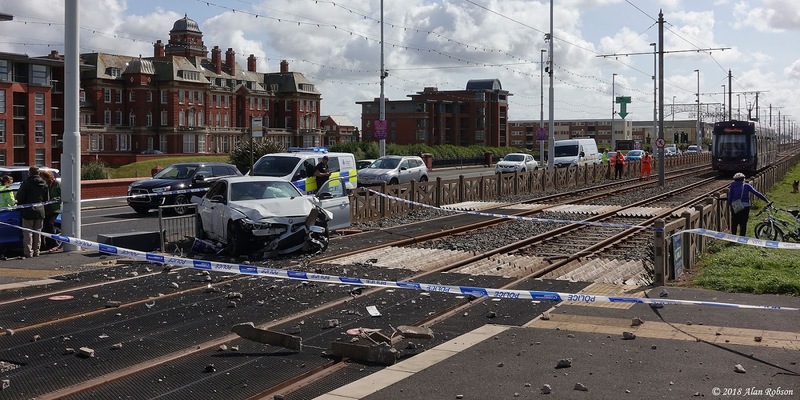 The disruption to the tram service lasted for several hours, until the debris and damaged car were removed from the tracks. 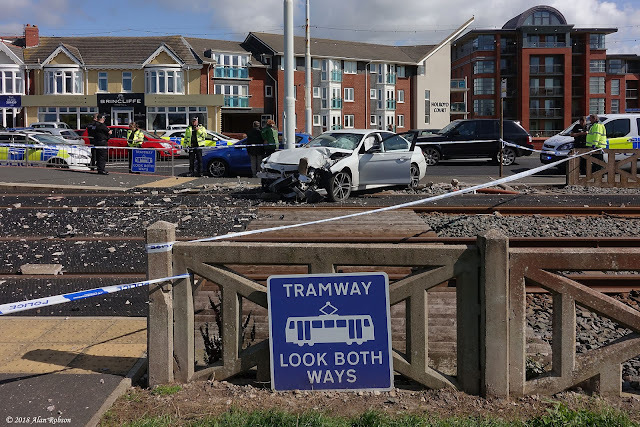 Look both ways before crossing the tramway!